USA - It was an evening of line dancing, lip-smacking southern food, silent auctions and live music during Knoxville Area Project Access’s (KAPA) 4th Annual Boot Scootin’ Ball. Allison Burchett, Bandit Lites’s director of philanthropy, helped produce the evening and coordinated the donation of the evening’s lighting as long time Bandit client and ACM Award winners Montgomery Gentry performed. 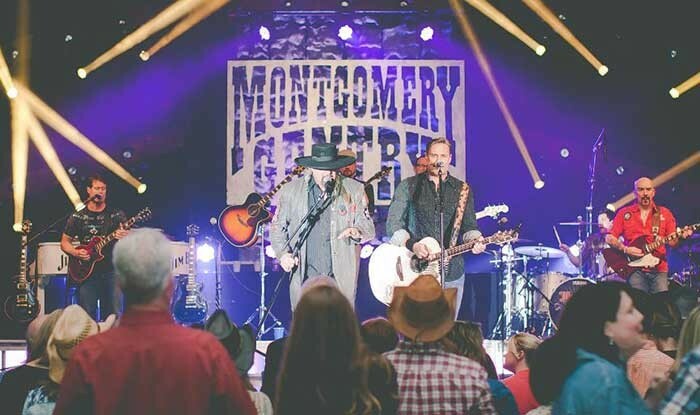 The country duo, Eddie Montgomery and Troy Gentry, are currently on tour with a lighting package from Bandit that includes Clay Paky Sharpys, GRN Battens, GLP Volks Licht and a Road Hog console. Bandit worked with Jeff Greeninger, Montgomery Gentry’s production manager, lighting designer Chris Lisle and board operator Chad Till. Bandit also donated additional fixtures for the event including MAC 2000 Profiles, VL 3000 spots, GRN LED Moving Washes and another Road Hog console. Lighting technicians Chuck Hastings and Gavin Lake ensured the lighting invoked the southern celebration KAPA had promised attendees. "With Bandit's involvement, the Boot Scootin' Ball was taken to a whole new level for our guests,” said Dr. Kim Weaver, CEO of the Knoxville Academy of Medicine. 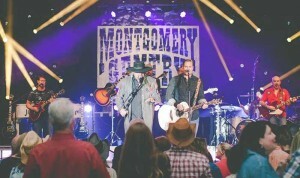 “Having Montgomery Gentry perform at this year's event required us to take the overall appearance and atmosphere of the event up a few notches, and we could not have done that without the support of Bandit Lites." Bandit Lites is proud to offer support to such a caring organization, whose efforts include providing health care for low-income, uninsured individuals in Knox County. “Here at Bandit we try to raise awareness and encourage others to support organizations such as KAPA that make such an incredible impact on our community, all while having fun and putting on an amazing show,” said Allison Burchett.